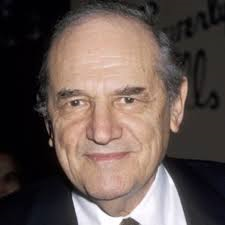 Steven Hill, who became well known as District Attorney Adam Schiff on Law & Order, but whose acting career was guided even more by his religious faith, died Tuesday in Monsey, N.Y., his daughter Sarah told the New York Times. Adam Schiff was a leveling force on Law & Order for 11 seasons, from 1990 to 2000. He often cautioned attorneys on both sides not to take risks for what they considered principles, arguing that a plea bargain was often the best practical course. Hill told the Times in 1996 that he understood standing up for principle, but that "our stories are about real life and that's how life is today. We plea-bargain all over the place." Hill's portrayal of Schiff won him two Emmy nominations, in 1998 and 1999. Hill's other most famous television role was playing Dan Briggs, the first leader on TV's Mission: Impossible before Peter Graves took over the role in the show's second season. It was his departure from Mission: Impossible, which was never explained on the show, that underscored Hill's relationship with acting and religious faith. Born Solomon Krakovsky in 1922 in Seattle, son of Russian immigrants, he began his acting career after serving in World War II. His first role on Broadway was in A Flag Is Born, where his fellow cast members included Marlon Brando. A year later, he joined Brando, Montgomery Clift, Julie Harris and 46 other actors in the first class at Lee Strasberg's famous Actors Studio. "Steven Hill is considered one of the finest actors America ever produced," Strasberg told writer John Sobiski years later. Martin Landau told Sobiski, "When I first became an actor, there were two young actors in New York: Marlon Brando and Steven Hill. A lot of people said that Steven would have been the one, not Marlon. He was legendary. Nuts, volatile, mad, and his work was exciting." Hill acted in movies, on early television dramas and on stage, including the original Mister Roberts. But his roles were modest, and in 1952 he re-enlisted for two more years in the Navy. When he resumed acting, he became a familiar face on television shows from Alfred Hitchcock Presents and Playhouse 90 to Naked City and Ben Casey. In 1961 he appeared in the play A Far Country, and he later said that one line in that play, where a character screams at Sigmund Freud, 'You're a Jew! ', led him to reexamine his own faith. Inspired by the well-known Rabbi Yakov Yosef Twersky, he became a strict Orthodox Jew, eating kosher, praying three times a day and observing the Sabbath. His unavailability for filming from Friday sundown through Saturday forced him to turn down several roles, including one in The Sand Pebbles. It also became an issue with Mission: Impossible, where producers had agreed to accommodate his schedule, but found it became difficult. It was reportedly one of the major factors in his departure. While Hill didn't make a direct connection, he left acting for 11 years after Mission: Impossible, moving to a Jewish community in Rockland County, New York, to pursue writing and real estate. He returned to acting in 1978 and again became a familiar character, first in movies like Yentl, Heartburn and Billy Bathgate, then from Law & Order. When Adam Schiff left the show, he was going to work with Simon Wiesenthal at the Holocaust Project. In real life, Hill simply retired, his faith and acting legacy intact. He is survived by his second wife, Rachel, and nine children, four from his first marriage.